Wirelessly stream audio to any entertainment system. Wirelessly stream audio to any entertainment system.Sometimes you want your favorite music to fill the room, not just your headphones. And if your home entertainment system already has Bluetooth® capability, you can wirelessly stream audio from a portable device &#40;for instance, your smartphone or tablet&#41;. But what if your system isn’t equipped with Bluetooth technology? Not a problem. 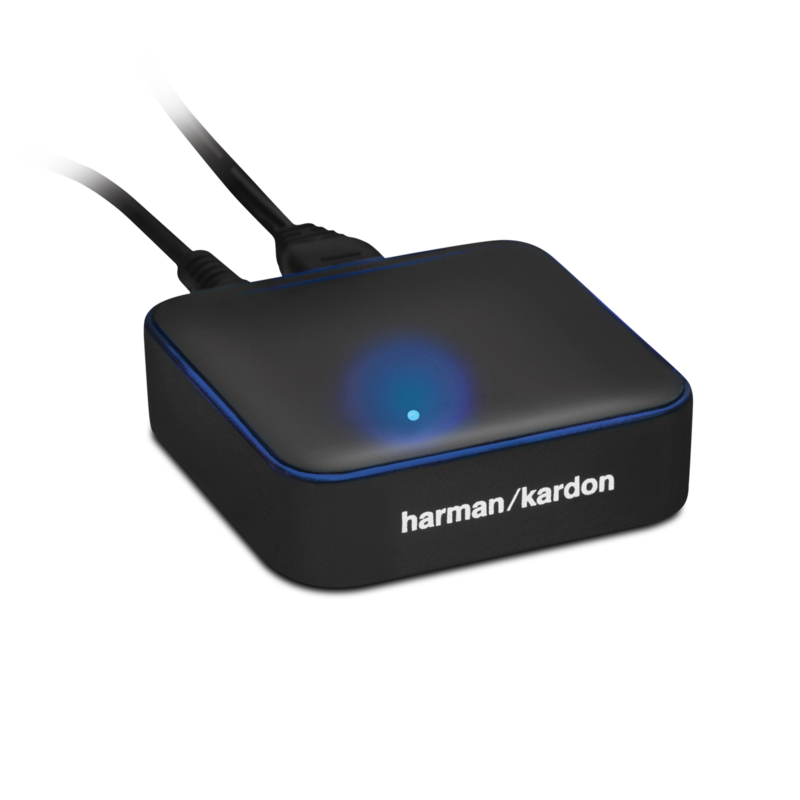 The Harman Kardon® BTA 10 external Bluetooth adapter connects directly to your entertainment system and enables you to stream audio wirelessly into the system from any Bluetooth-equipped portable device.The BTA 10’s HARMAN TrueStream™ technology means that its wireless audio connection to your entertainment system will be the highest quality possible – no matter what source device is supplying the audio. For your convenience, the BTA 10 has an LED indicator light that blinks as it searches for your Bluetooth-equipped device and stays steadily lit when it’s paired up successfully. The BTA 10 even comes with cables so that you can hook it up to your entertainment system. From home systems to portable speakers to speaker docks, the BTA 10 Bluetooth adapter adds wireless streaming capability to any audio system with a stereo 3.5mm aux input or stereo RCA inputs.